Age of Product's Food for Thought of September 11th, 2016—shared with 4,435 peers—again turns to the question: What is Agile, agile, or probably “Agile”. With 70+ agile practices, we have a look at meaningful agile metrics, and how Scrum helps the FBI to track the bad guys. Nevertheless, we need to ask: What’s wrong with Scrum? We then dive deep into product managers fooling themselves prior to burning out, and what you can do about it. 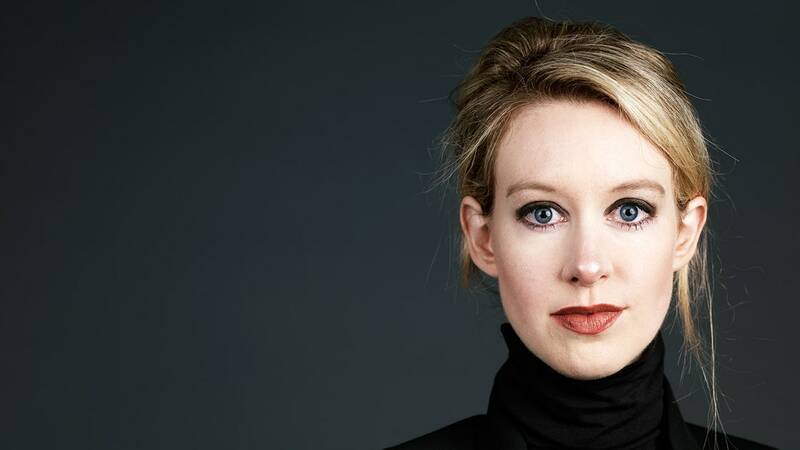 Last, but not least, we deconstruct Theranos’ precocious “founder” in an epic story. And we learn that the former Apple engineer who led the transition of the Mac to Intel processors, wasn’t consider a match for a Genius Bar job in an Apple store—at the age 54. Welcome to the era of ageism and enjoy a great Sunday! Food For Thought #58: Selling Agile, Agile Peer Recruiting, Cheat-Sheets. Steve Denning asks: What exactly is Agile? How do you explain Agile when there are more than forty different variants of Agile around? And what about all those Agile practices? There are more than 70 different Agile practices. How on earth can you explain such a bewildering blizzard of seemingly different ideas? Mark Levison: Measurement for Scrum – What are Appropriate Measures? Mark Levison provides a comprehensive article on agile metrics, which ones are useful, and which ones are just vanity metrics, that can easily be gamed: “Tell me how you measure me, and I will tell you how I will behave”. Source: Measurement for Scrum – What are Appropriate Measures? Eb concludes in this three part series, that many teams and organizations give up on Scrum because it makes them uncomfortable as it shines a light on both team and organizational dysfunctions, and not because the nature of their work is not a fit. Jeff Sutherland shares in this video, how Scrum is reshaping the way the Department of Defense does business and fights wars, how the FBI tracks criminals, and how Treasury finds deadbeat dads. Hunter Walk summarizes the findings of a Google study–they looked at 180 teams from all over the company–, that tries to answer the question what defines a “successful” team. You will be surprised. Paul Barnes introduces “Agile” to us—in a epic article, covering everything from the “answering the why question” to “continuous improvement”. Product managers often seem to cling to notions of how to best succeed when outside forces (executives, investors, customers) inevitably exert pressure on the product’s development—even if they have seen evidence that these notions are inaccurate. Avoid falling victim to them, too. Mike Fishbein interviews Bob Dorf, author of The Startup Owner’s Manual, who shares how product managers and the c-suite can embrace a culture of innovation and how companies can incentivize employees to take risks. Karen Dillon shares the success story of ING Direct bank, that saw potential in saving accounts where other banks saw low profit margins. She explains how ING Direct applied the jobs-to-be-done framework to create a product for a new customer segment. Colleen O’Rourke shares her ideas on how to prevent burnout from happening in the first place, and what to do, if you reached burnout already and you need to recharge. Andre Theus describes the difference between a backlog that functions as a well-ordered to-do list of important product issues, and its anti pattern that can be observed in many product delivery organizations. Andrew Croce explain how each of the twelve principles of the Agile Manifesto not only fails to conflict with good UX design practice, but can even improve it. Nick Bilton discovers that Theranos’ precocious founder defied medical experts—even her own chief scientist—about the veracity of its now discredited blood-testing technology. She built a corporation based on secrecy in the hope that she could still pull it off. Then, it all fell apart. Ashton Applewhite illustrates the problem of ageism by telling the story of JK Scheinberg, the engineer at Apple who led the effort that moved the Mac to Intel processors, who—at the age of 54—wasn’t consider a match for a Genius Bar job in an Apple store.